Private Taxi From Hue To Danang Airport or Da Nang Hotels is an useful service to enjoy the relaxation and comfort on the way from Hue to Danang airport Or Danang Hotels. Taxi Danang Airport is delighted to offer the high quality of private taxi transfer service with English speaking driver, Our cars are new 2016 – 2017,with free Wi-fi,Baby seat,mineral water on car and With cheap price but professional service. The distance from Hue to Danang airport about 120km and it will take you about 3 hours of driving. Taxi Danang Airport driver will pick you up at your hotel lobby in Hue. Depart Private Taxi From Hue To Danang Airport Or Danang Hotels. On the way, we will stop to visit some interesting attractions. 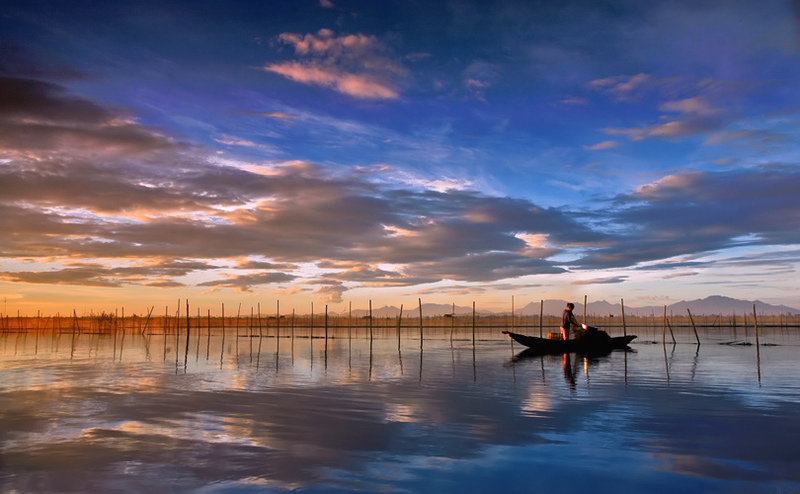 Firstly, taking the wonderful photographs at Cau Hai Lagoon – Tam Giang Lagoon Stretching 700 km along the Thua Thien Hue seashore, Tam Giang is the largest lagoon in Southeast Asia with over 300,000 Vietnamese living along its shores. Just 15 km from Hue, it’s a popular place to enjoy Vietnamese rural life, with estimated time of visiting about 20 minutes. After that, we transfer to Lang Co Beach – one of the most beautiful beaches of Viet Nam. Taking a short rest to free walking along the seashore. You can swim here but don’t forget to bring swimming stuff belong to you. 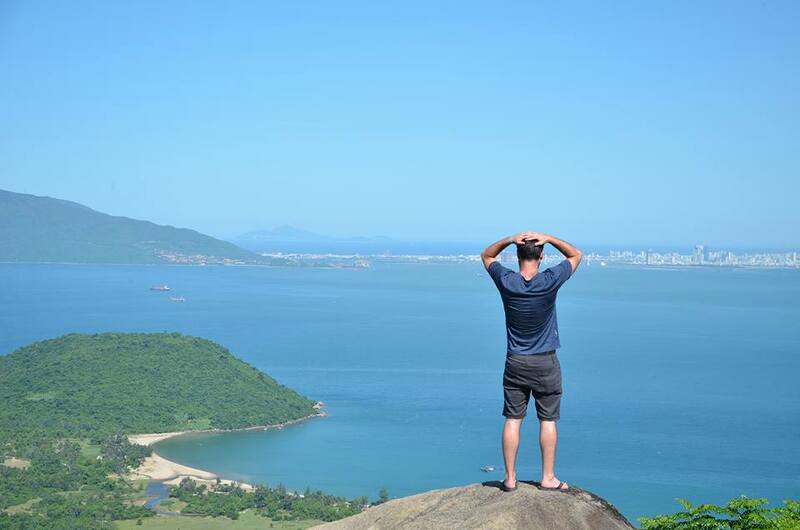 To make an exciting trip, we choose Hai Van Pass – Sea Cloudy Pass is the next attraction where is well known as one of the most spectacular view. US bunkers are available some on top of the pass. And don’t forget to enjoy a cup of hot coffee while stopping at the cafeteria on this pass. 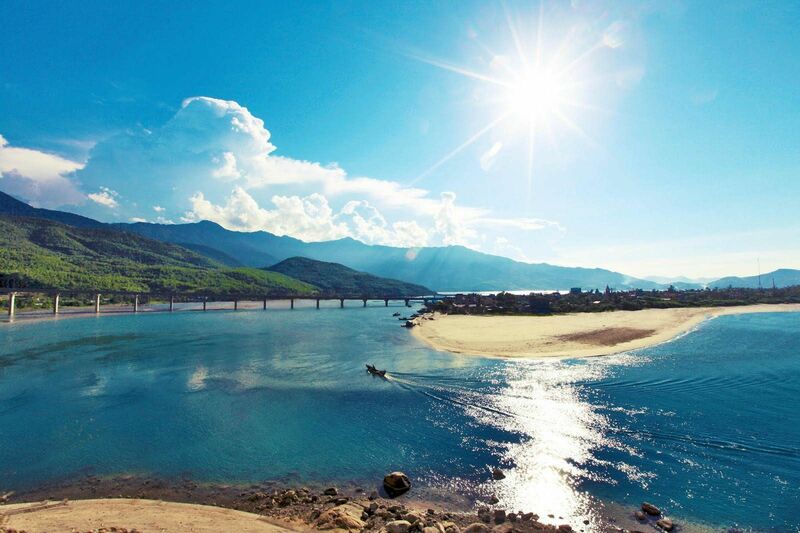 Then we transfer to Da Nang City, you also choose go to the Da Nang airport directly or continuing to hotel in Da Nang. Settle the payment to our driver. Price in USD or VND Taxi From Hue To Danang Airport Or Danang Hotel.